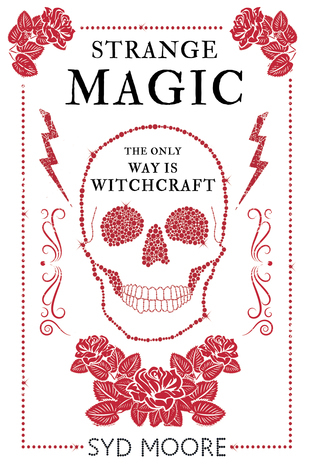 Both the cover and blurb of Strange Magic appealed to me when I requested the book from NetGalley and, overall, it was a pleasant read--just not quite what I was expecting. I had assumed there would be actual magic accepted and performed during the course of the story. However, the author takes a more sceptical approach, with the characters explaining away most of the potentially magically events that do take place. This is the first book in a series, so perhaps that magical aspect will grow more prominent in future tales, but, in truth, this first story is more mystery than fantasy/paranormal. I still enjoyed Strange Magic; however, I felt that it lost impetus in the last quarter or so, and I started to skim more, simply wanting to see how it ended. Rosie was an engaging character, though I didn't completely buy her budding romance with Sam, but my personal fave was the cat, Hecate, who sadly didn't appear again after the opening few chapters. Given the opportunity to read on in the series, I would give book two a try, but I wouldn't rush out to buy it. If you are looking for urban fantasy, Strange Magic is not for you. However, if you enjoy a cosy, light mystery, then you'd probably enjoy it.